HAVE YOU EVER HAD A FRUIT THAT SPARKLES? DADA DRINKS is offering you this chance right now! How? 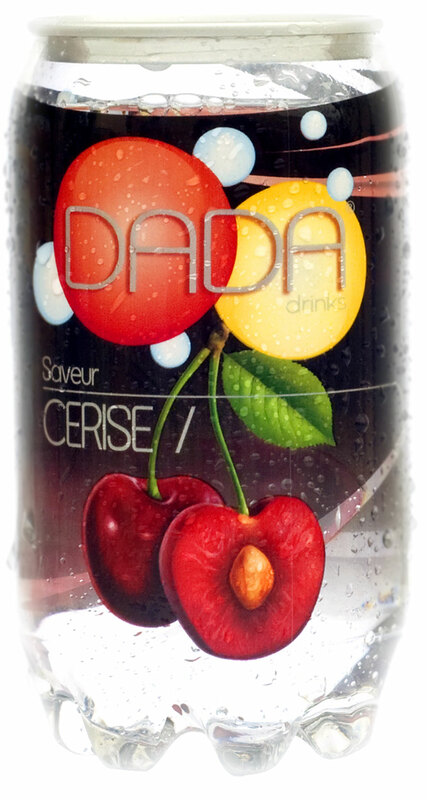 By creating DADA, today’s non-alcoholic soft drink. 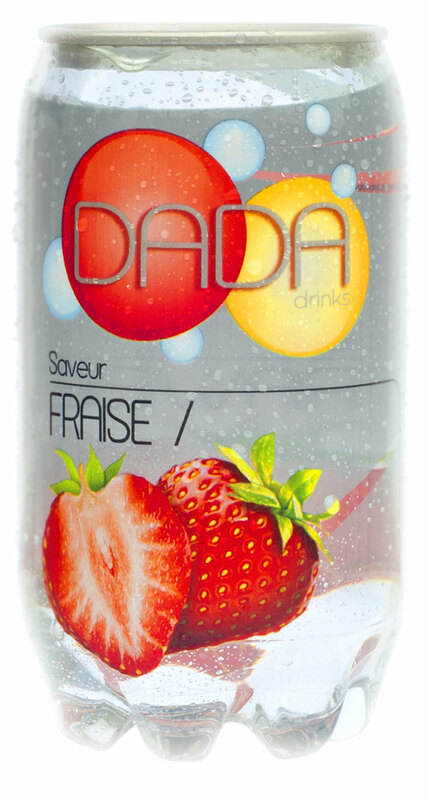 With its subtle mix of fruit aromas and fine sparkling water, DADA is now offering you a new, refreshing and delicious sensation. 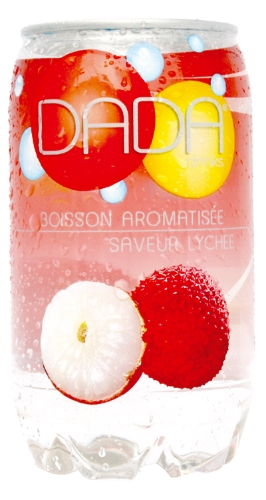 DADA it is six flavors with an exceptional and unique taste: apple, peach, lychee, melon, strawberry and cherry. Flavors that will seduce cool drink lovers immediately. Originality is featured with this product which offers a distinctive and innovative design: a translucent packaging that adds value and creates a touch of fun. Seduced yet? Taste it and you’ll be convinced! With its original design associated with a young, sparkling and translucent packaging, the DADA line stands out on the shelves and never fails to attract the eye of the consumer. 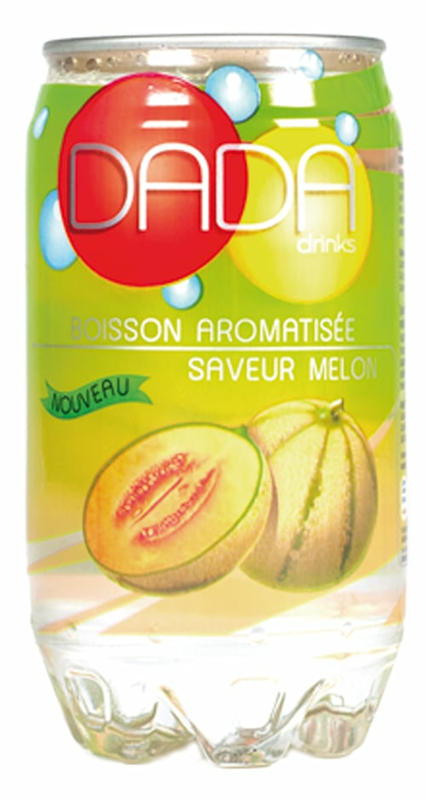 DADA always adds a touch of freshness and color to soft drinks ray. DADA differs by opting for ergonomic and original packaging. 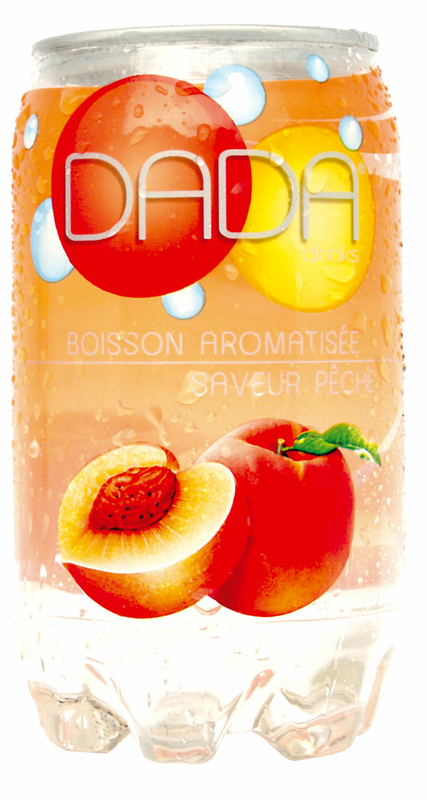 With a 350 ml capacity, DADA makes the pleasure of the sparking fruit last! You can bet on that! Lovers of cool drinks will not be able to resist the DADA wave! Available in cases of 24 cans. Order your chilled beverage display window and take advantage of an exclusive offer! STARTING From August 1st, 2017, for every purchased display window, we will provide delivery and 288 cans of the flavor of your choice! IF YOU ARE INTERESTED IN RETAILING DADA DRINKS, PLEASE CONTACT US USING OUR CONTACT FORM.